What is the difference in the way Princess Mononoke/San is portrayed in these two trailers? What can this tell us about the significance of the character in these cultural contexts? Princess Mononoke is a Japanese animated film that was released in Japan in 1997. It became the highest-grossing film in Japan until the release of Spirited Away in 2001. Due to its success, the film was dubbed into English and was released in North America by Miramax in 2000. According to rumors, when the creator of Princess Mononoke, Hayao Miyazaki met with the chairman of Miramax, Harvey Weinstein, Weinstein demanded that edits should be made to the film, something that Miyazaki was entirely against. Due to the alterations, the film did not fare as well financially in comparison to the original version. The Japanese version has a much deeper concentration on the spiritual aspect of the film than the English version. This concept had me more engaged in the Japanese version on an emotional level, while the English version was depicted as another mainstream Disney movie. One of the main differences in the film is the portrayal of the message and meaning. Similar to the American culture, the English versions main focus was centered around the war between the gods of the forest and the humans who consume its resources. While the Japanese film really focused on the spiritual legend and mythical land in which the movie is set. 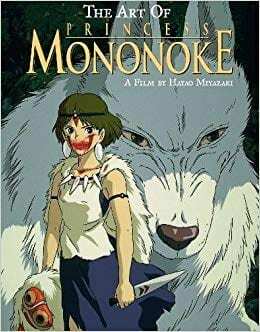 In the American version, the male character, Ashitaka is described as the prominent warrior who ultimately saves the day and the damsel in distress, Princess Mononoke. While the Japanese film depicts the warrior as a helping guide to Princess Mononoke on her journey.